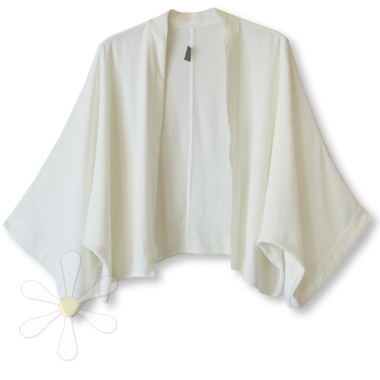 ISMARI-SPECIAL KIMONO JACKET... this one in stock now! Wide flowing sleeves are the thing with pour new cropped length kimono jacket, this one in woven textured boucle overdyed in our soft Ivory! Whether you're willowy or petite, zaftig or not, indulge yourself with this and feel like the goddess you are!